"I'll run you a race if you dare. As quickly as I can get there." 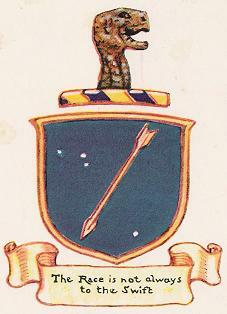 Quoth the Hare: "You are surely insane. Pray, what has affected your brain? And let him prescribe for your pain." 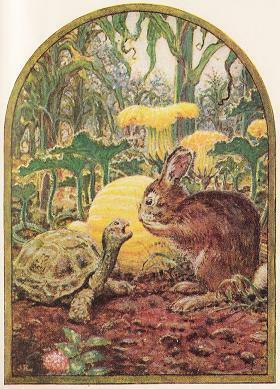 "Never mind," said the Tortoise. "Let's run! Will you bet me?" "Why, certainly." "Done!" And then loafs around in the sun. To win was almost a disgrace. As the Tortoise was as nearing the place. "You can surely run fast,"
She remarked. "Yet you're last. It is better to get a good start." 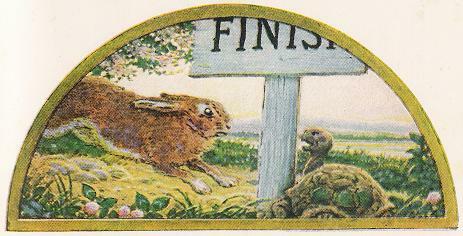 The Hare and The Tortoise Aesops Fables Stories with Morals. Help building character, teaching respect and lessons in virtue.